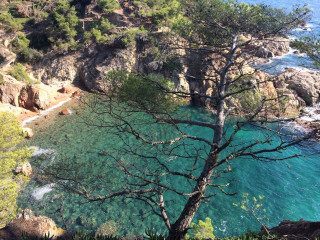 Follow a path leading to a rare sandy beach in Costa Brava still untouched by modern development. 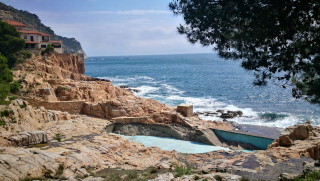 The trip starts at 8:30/9:00 a.m. on Tuesdays, Thursday, and Fridays and is available from late May to mid-September. Tours run with a minimum of two, maximum of eight people. What to bring? We recommend packing a swimsuit, sandals or flip-flops, a towel, sunscreen, sun glasses, and a dry change of clothes. Cancellations can be made up to 48 hours before the trip with 100% reimbursement. For later cancellations, there is no compensation. On rare occasions, our tours may need to be postponed due to bad weather. In these circumstances, we will offer you alternative dates or we will refund you 100% of the paid amount. 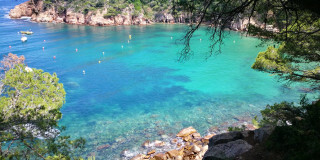 As we approach the beach after our 9:00 a.m. pickup from Barcelona, it’s clear that our destination is a local secret. 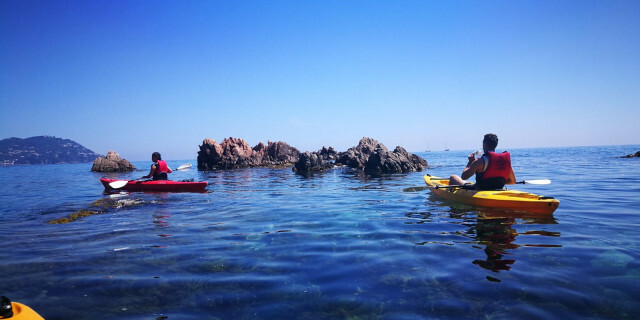 Hidden by rich pine forests, this unique combination of sea, natural vegetation, and rugged cliffs is rarely seen by tourists. Our guide introduces us to the area and its cultural evolution, sharing tips on how to make the most of your beach day. Swim in the clear water for as long as you like, and make use of the provided snorkeling masks at any time. Just like the exotic flora and fauna on the coast, the underwater landscape is full of its own colorful surprises. When the hiker in you gets impatient, remember that you are in a country with exceptionally rich history. 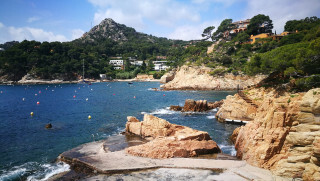 Explore the ancient Iberian settlement on the nearby end of the beach, or walk along a worn smugglers’ path. If you have questions about your discoveries, our knowledgeable guide will happily answer everything on the way back to the city. To relax, stretch out on the warm sand and grab a refreshing drink at one of the bars along the beach. Or take a walk through the cooling shade of the forest and do some birdwatching. 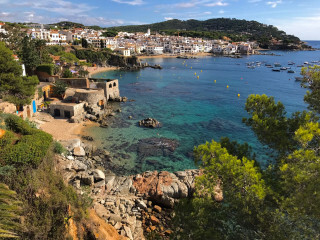 There are parasols for rent by the water, but don’t think you’ll stay still for long; the inviting aroma of locally caught prawns and other fresh seafood cooking in the nearby chiringuitos (small beach restaurants) is a powerful distraction. By the time we arrive back to the city at around 6:00 p.m., we feel reenergized for our travels. 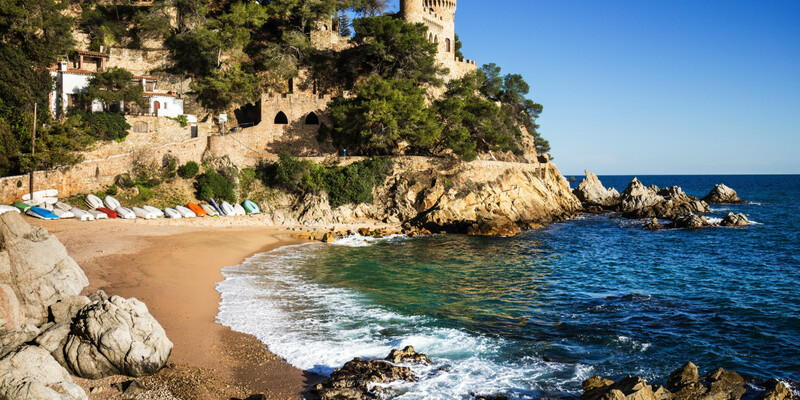 The culture and simple pleasures of Costa Brava's seashore are a relaxing addition to any busy explorer's schedule. 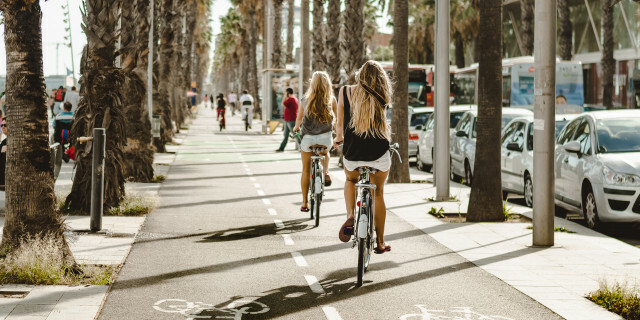 Get a true taste of Barcelona on this comprehensive city bike tour. Our guide was wonderful!! Very accommodating to our needs. We had 2 children in our group and she worked with use make it a wonderful experience.